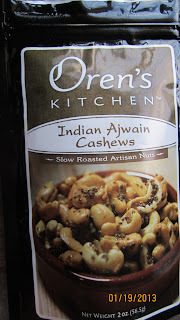 After reviewing the Gfreely box, and falling in LOVE with Orens Kitchen Artisan Nuts, I knew it deserved a review all its own. Arnon Oren is a chef of 15 years who studied to become a chef in France. I got to review 4 flavors of Artisan Nuts. Wild Rosemary Almonds. These were my 2nd favorite. I actually really enjoyed the roasted rosemary with the salt...I ate the leftovers in the bag without the nuts! 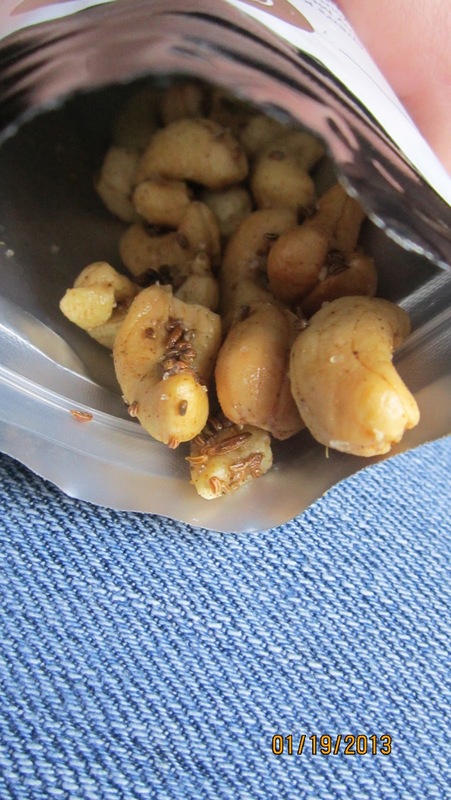 Indian Ajwan Cashews (pictured below). These were good, considering we eat Indian food almost daily in our home, we know the flavors well, and these nuts are perfect. Smoked Paprika Pecans. These didn't agree with me, I could see how someone who loves paprika would like them, but I prefer milder flavors. 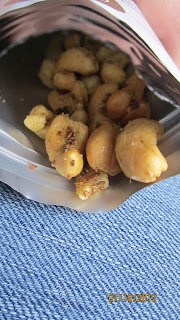 Coconut Chili Macadamias. These were by FAR my favorite. Whole macadamia nuts and sliced coconut (not shredded!) in a chili oil..very very delicious, the sweet coconut takes the heat out of the chili oil, I will be ordering these many times in the future. 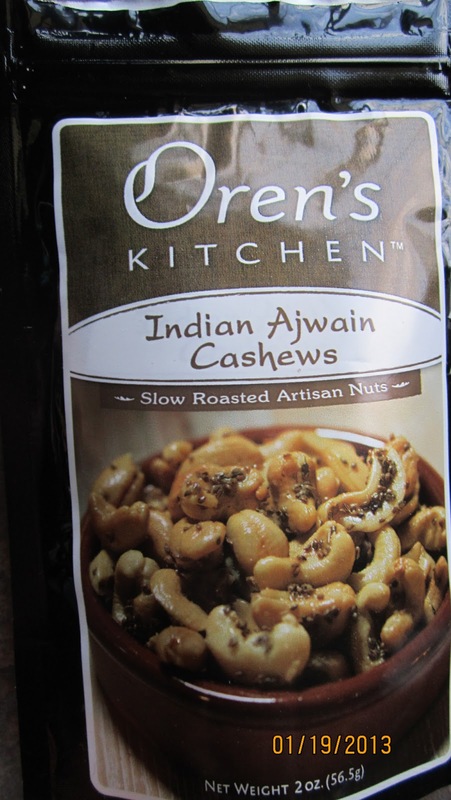 Oren's Kitchen Artisan Nuts are priced at $3.99 for a 2oz bag, $6.99 for a 4oz bag and $70 for 5lbs. You can find Oren's Kitchen on facebook here.